The 15-man squad picked by Australia for the World Cup looks capable of retaining the World Cup trophy for their nation. A few months ago, Australian cricket seemed to be in an intractable crisis. Both the Test and ODI team were looking hopeless and the prospect of defending their world title bleak. But in the last couple of months, the Aussies have roared back and established themselves as among the top contenders to win the World Cup in England. The 15-man squad picked on Monday, April 15, has raised some questions. The exclusion of Josh Hazlewood and inclusion of Steve Smith is being discussed in cricketing circles fervently. Despite these few doubts, the team looks strong on paper and stronger on the form. Let's enumerate those five reasons which make Australia capable of successful retaining the World Cup trophy. 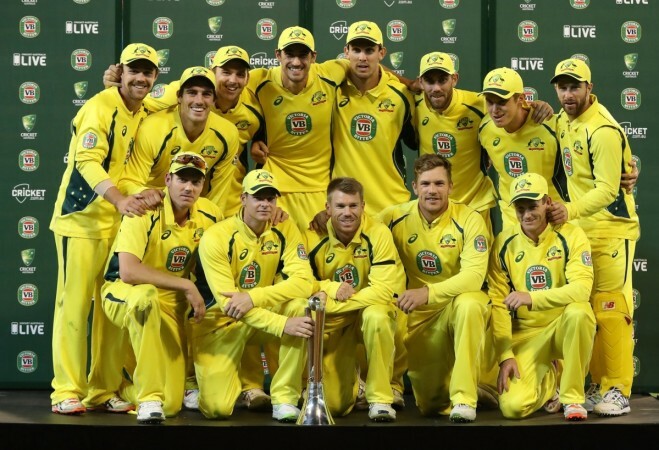 Just as England and South Africa have repeatedly failed to win major ODI tournaments and therefore, may struggle to close the deal when they have a chance, Australians know all about triumphing in major events. Many players like Aaron Finch, David Warner, Glenn Maxwell, Mitchell Starc and Pat Cummins, were part of the World Cup winning squad in 2015. Hence, they know how to handle pressure and succeed in high-stakes matches. There is unlikely to be any stage-fright for this lot. What brought about the turnaround in the Australian team's fortunes was their batting. It was started by Usman Khawaja who started scoring heavily in India. But the form of his partner Finch was in doubt. 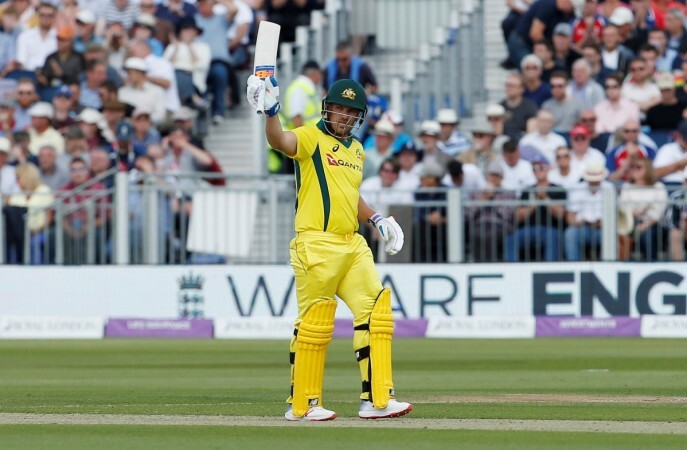 That was put to rest in the next series that Aussies played where Finch emerged as the leading run-scorer. Shaun Marsh too returned to his scoring ways and Maxwell regained the magic touch which makes him a special player. With the arrival of an in-form Warner and a proven commodity in Smith, the batting would look even stronger. Gone are the days, when bowling defensively was a good option. These days, taking wickets is everything. Australia have an advantage in this regard. Their bowlers – especially – Pat Cummins and Mitchell Starc have mastered this art. The latter had been the most lethal bowler in 50-over cricket till some time ago due to his deadly yorkers and lively pace. In the middle overs, such wicket-taking options are a must for any team aspiring to be world champions. Having won their last two series in India and UAE, the Aussies have shown that they are capable of adapting to different types of conditions. This would be very useful in England where teams would encounter a wide variety of challenges. These days, English pitches tend to be much drier than in the past. This wouldn't worry Australia as they have recently excelled in such conditions. Australia may not possess the best spin-bowling attack in the world – that distinction belongs to India – but they don't have the worst either. Nathan Lyon has settled nicely into his role as a holding bowler who can deliver 10 economical overs. What makes this off-spinner special is his consistency and accuracy, allowing him to succeed in not so friendly wickets also. He will have Adam Zampa to assist him if Australia go in with two spinners. Initially, not so successful, he is now using his variations a lot more effectively. This has turned him into a genuine wicket-taking option. So, Lyon keeping the batsmen honest from one end and Zampa attacking them from other seems a very promising combination.